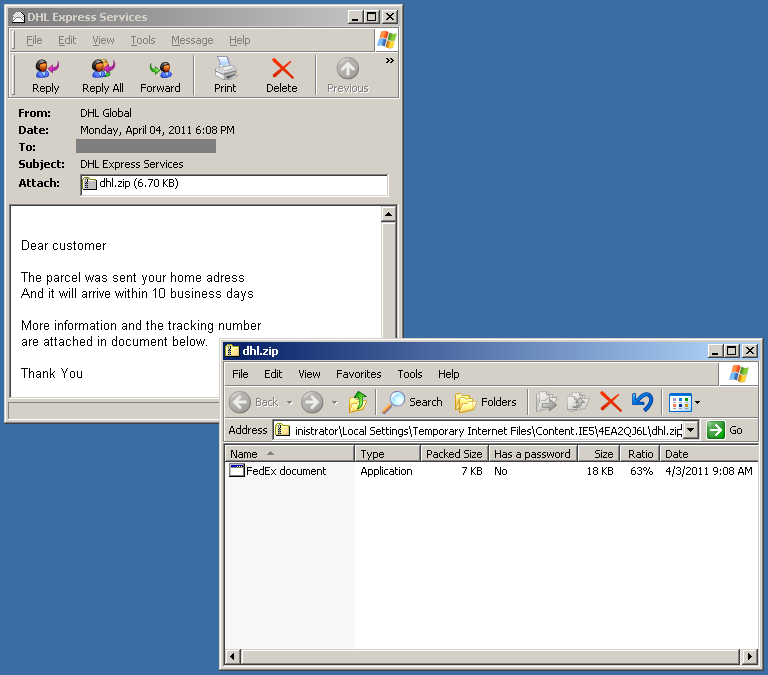 We've been seeing a run of malware distributed via spammed e-mails in the last couple days. The e-mail messages and the malware aren't particularly new. The message is fake and pretends to be related to a delivery service; attached to it is a disguised ZIP file containing a trojan-downloader. "Hmm, I have an incoming parcel from DHL. I'd better check the attached document for the tracking number. Uh wait… or was it from FedEx?" User confused, as well as infected.